Innovative teaching solution with a large scalable screen size of up to 100 inches to display HD-ready WXGA content for enhanced learning. The EB-685W’s ultra-short-throw design allows you to present large images from a very short distance with minimised shadows and glare. With a brightness level of 3,500 lumens, an HD-ready WXGA resolution, a 14,000:1 contrast ratio, and HDMI input, students benefit from sharp, clear images. 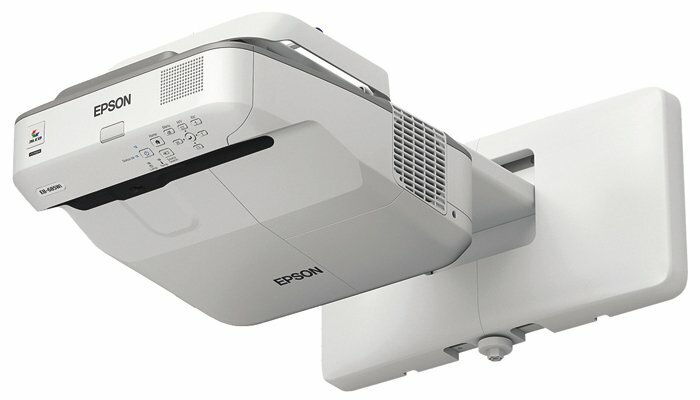 Epson’s 3LCD technology ensures high-quality images with equally high White and Colour Light Output for vivid colours and bright images, even in daylight, and three times brighter colours than leading competitive projectors1.